After dinner at Jessie’s Farmhouse in the mountains above Tienmu. Catherine came over to see us about ten days ago. It’s always nice to see a familiar face from home when you’re so far away. In the past few days they have managed to get in some shopping, a trip to Kenting (south end of Taiwan), but most importantly they’ve just been hanging out talking like they’ve never been apart. 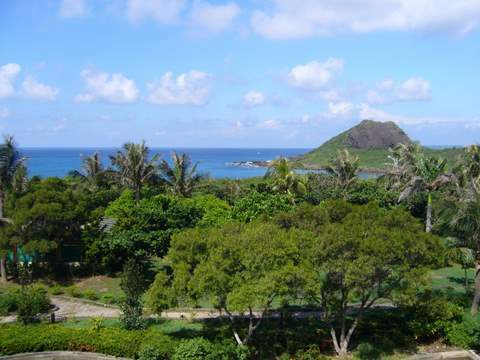 View from hotel in Kenting. Catherine having some fun in the surf. Who would have known? Laura and I standing outside of People’s Restaurant. Chopsticks competing for cheese at People’s Restaurant. The chopsticks competing for cheese is my favorite.